In this latest version, we have upgraded how the user updates his profile picture. Now, a user can directly update their profile picture from the home without going to edit profile. PayPal Payment upgraded to the android app. Various language code added and changed with respect to UI Improvement. These are the some of the changes. 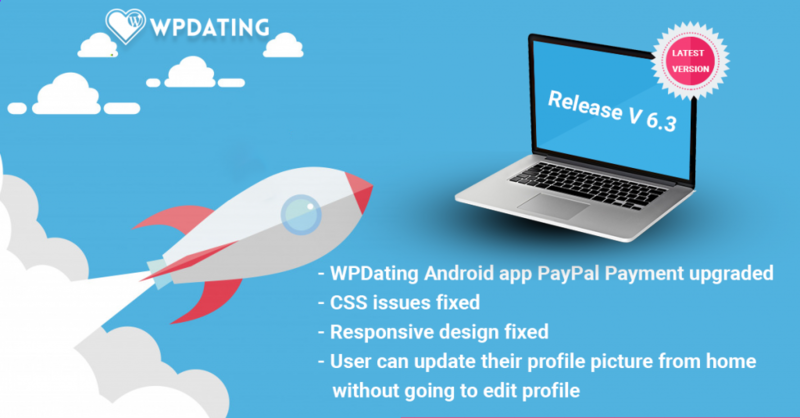 We highly recommend you to upgrade your WPDating plugin to the latest version for better performance of your dating site. With a constant touch and feedback from our valued customer, we made the following changes to the plugin. Thank you very much for your suggestion. We are always keen to listen to our customers and to receive their feedback. This is the best way to improve our products and services and maintain our client’s satisfaction. we will definitely work on the feature to make the status of a user either private, public or friends.